Plan your first trip to Kuta with this quick guide, which provides you with a few of the best ideas you can see and experience on your first day. Most hotels here have Bali’s famous sand and surf mere steps away, and the same can be said for world-class dining and chilling while overlooking Kuta’s dramatic sunsets. There’s great shopping along the main footpaths of Kuta’s Jalan Pantai, the main beach road, as well as on its southern part, with the Discovery Shopping Mall right across from Waterbom Bali, one of Southeast Asia’s premier waterparks. Kuta is also conveniently right next door to the Ngurah Rai Airport in Tuban, making it an ideal destination for brief stays. Also, the island’s liveliest nightlife scenes are just around the corner in neighbouring Legian and Seminyak. Here are a few to help you plan ahead. Kuta is Bali’s most famous beach. It was once a fishing village that evolved into a surfing mecca. In addition to the great surf, it’s also one of the island’s major nightlife hubs. Basically, it offers something for all visitors. For sure, it's a favourite for budget travellers. There’s countless restaurants, bars, a big mall, the largest waterpark in Southeast Asia, and a wide variety of hotels to suit any pocket. Kuta’s main attraction is, and always will be, the beach. Kuta Beach is where Bali’s surfing scene (and tourism) started. But this famous resort continues to attract visitors with its plentiful options. These range from some of the island’s most modern shopping and entertainment centres, to world-class recreational spots. Kuta is good for all. Whether you're a lone and adventurous surfer, or travelling as a family or band of friends. You can enjoy all Kuta has to offer. Here’s some of the top picks. Besides usual art shops and street markets, you can find a handful of great modern spots lining the main streets in Kuta. This includes a large mall right on the main beach road of Jalan Pantai Kuta. Here’s some of Kuta's best shopping spots. These range from places to test your bargaining skills, to those offering fixed price shopping. In terms of dining, Kuta beach offers something for every taste and budget range. The beach road and its intertwined streets are lined with prominent international franchise restaurants, popular bars, cafes, and local warung or local roadside cafes selling local fare. Kuta’s dining scene is eclectic. Here are some that we recommend. Find your base to enjoy this popular surf and sunset beach resort area. There are so many places to stay in Kuta that we could go on reviewing them all. 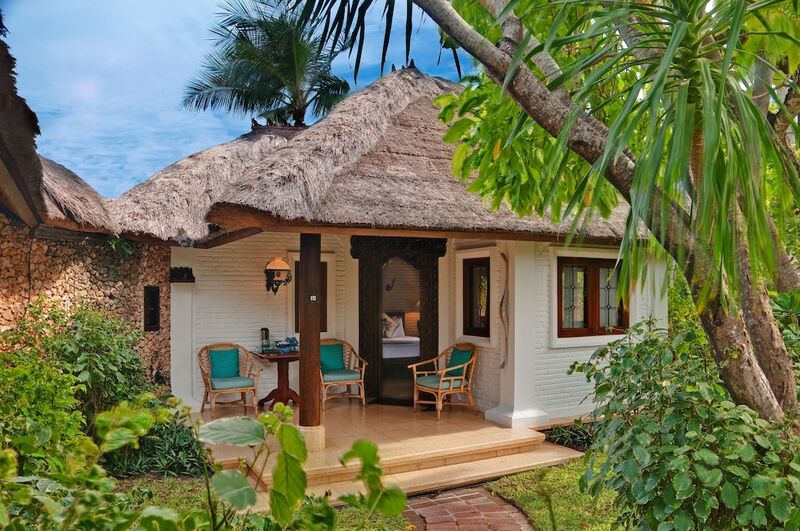 But to save you time, here’s our three favourite hotels in Kuta, comprising a luxury, mid-range and budget selection.